In the era of value-based care, organizations are prioritizing performance improvement efforts to satisfy reporting requirements and reduce costs. Managing data is essential to improving performance and takes on multiple forms. 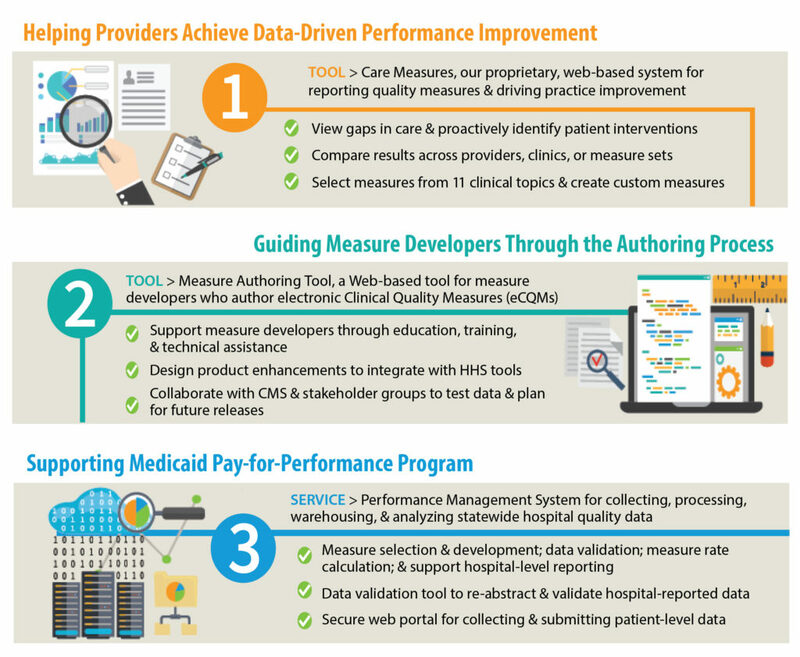 It involves the collecting, tracking, analyzing, interpreting, and acting on data for specific quality measures. Telligen wants to help payers and providers put the focus where it belongs – improving the quality of healthcare programs. We design tools and services that help clinicians put the right performance metrics in place that result in better outcomes, more efficient processes, and higher patient satisfaction. Our tools help clinicians develop detailed improvement plans, and measure performance when treating a variety of conditions including coronary artery disease, diabetes, heart failure, hypertension, and more. We deploy healthcare professionals to practices, hospitals, and health systems to help clinicians identify and address areas for improvement. On-site services include analyzing clinical performance, education and technical assistance, redesigning clinical processes, and ongoing performance measurement.